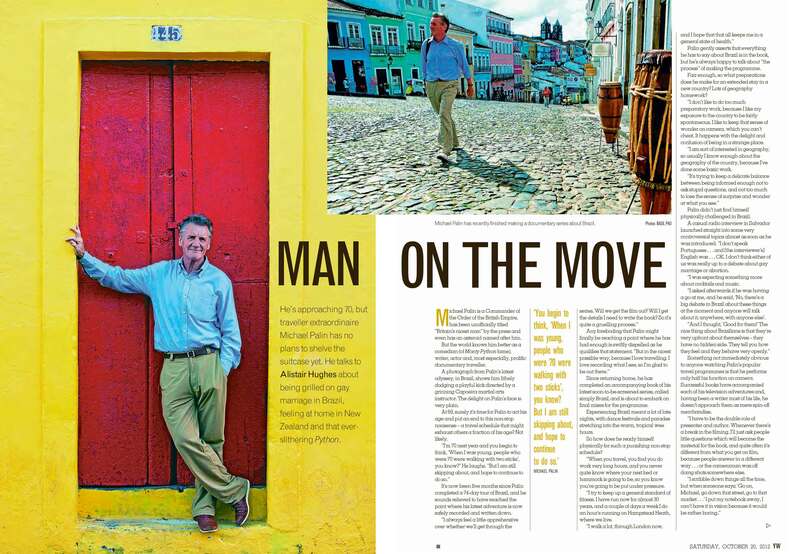 The opening spread of my six-page interview with actor Michael Palin. 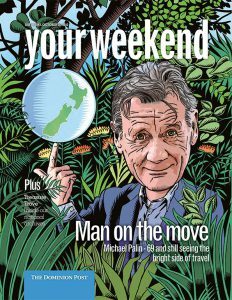 I also provided the cover illustration. 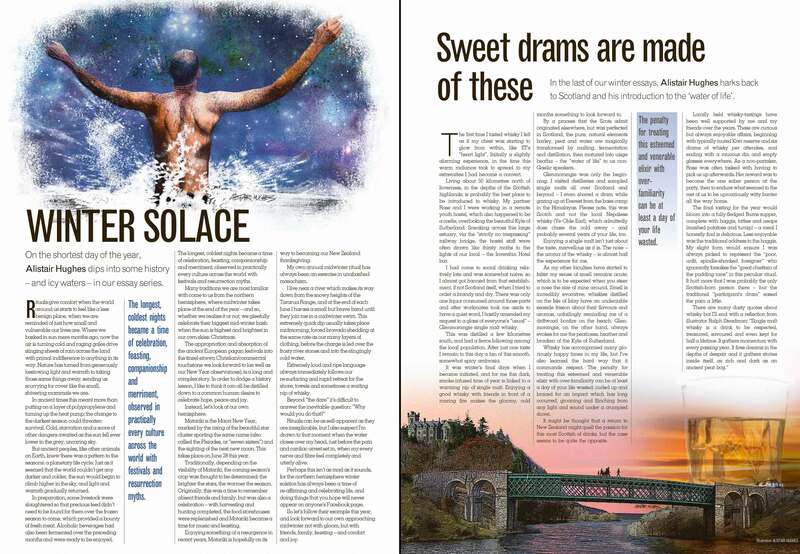 Two short features submitted and illustrated as part of the Your Weekend winter essays series. 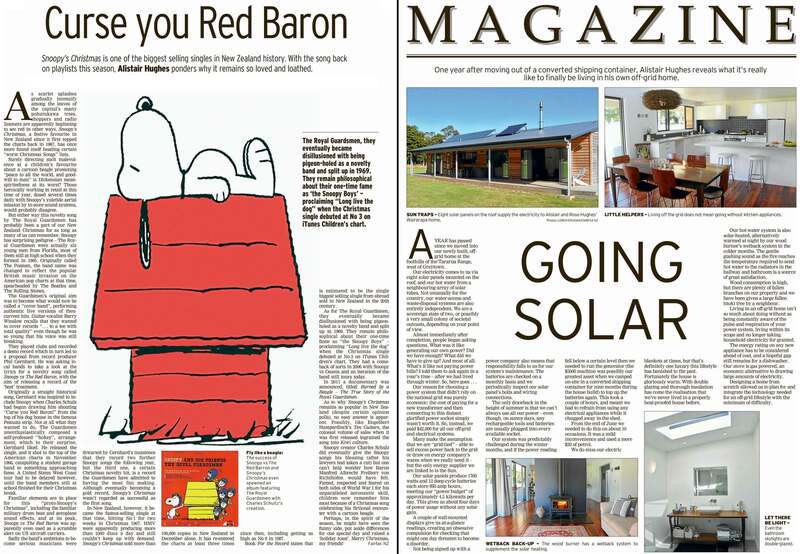 A festive feature for The Southland Times, and an account of living ‘off-grid’ for The New Zealander. 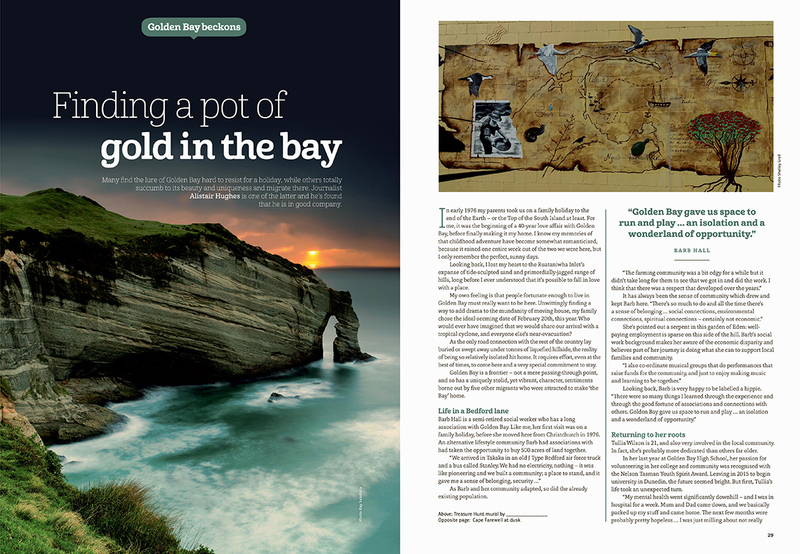 A feature for WildTomato magazine, where I interviewed a diverse selection of people who’ve chosen to make Golden Bay their home. 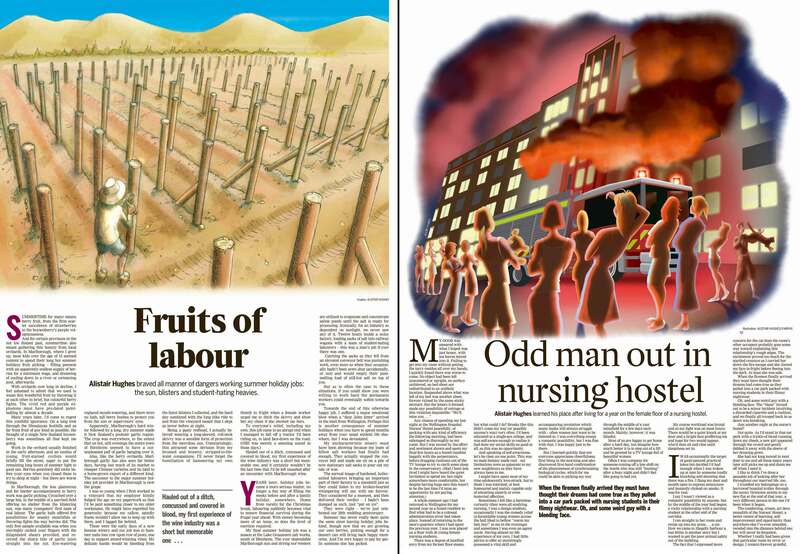 Two holiday features for The Dominion Post, which I also illustrated. 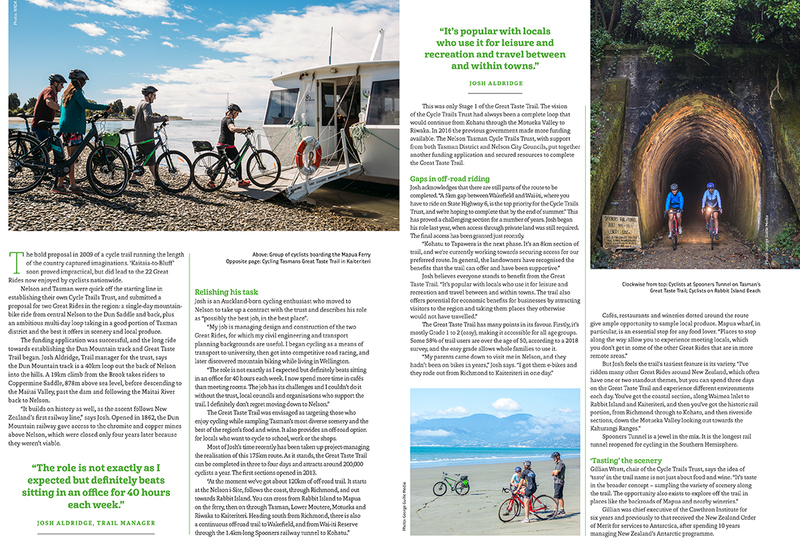 A WildTomato feature about recent modifications to the Great Taste cycle trail in the Tasman region.